Miguel de Figueiredo, Alexandra D. Lahav & Peter Siegelman, Against Judicial Accountability: Evidence From the Six Month List (revised 2018), available at SSRN. Are judges motivated by incentives? A recent study by Miguel de Figueiredo, Alexandra D. Lahav, and Peter Siegelman concludes that they can be and shows much more. Nancy Gertner, a former judge and currently a Senior Lecturer at Harvard Law School, suggested the research. Gertner was concerned that the so-called Six Month List causes judges to engage in actions that they otherwise would not take—such as dismissing cases. The List requires the Administrative Office of the United States Courts to report motions pending before federal district judges for more than six months and cases pending for more than three years. Some time ago, after I gave a talk on summary judgment, a judge stated a belief similar to Gertner’s that judges dismiss cases on summary judgment because of administrative deadlines. We should be concerned about what these judges are saying. Thankfully, the authors have carefully analyzed this issue. The most important conclusion of their study is this: the List should be abolished. After the List’s existence and acceptance for almost thirty years, that conclusion is both remarkable and alarming. Under the Civil Justice Reform Act (CJRA), the Administrative Office publicly reports twice a year—on March 31 and September 30—when judges have cases that are older than three years and motions pending more than six months. There is a grace period of 30 days for motions so a judge has at least 214 days to decide a motion before being reported on the List. The purpose of the List was to lessen the time that judges take to dispose of cases and motions, thus making the processing of cases faster and cheaper. Both sides of the aisle favored the List despite reliance on mere anecdotes of slow judges and the lack of study of the supposed problem and solution. So, does the List work? Do cases close faster, and are motions decided more quickly than they would be otherwise? The authors’ answers are respectively no and yes and no. Perhaps more importantly, even in circumstances where the List somewhat accomplishes the goal of faster dispositions, the authors show significant, unintended bad consequences. For their study, for case information, the authors looked at Administrative Office data from 1980 to 2017 and interviewed lawyers, judges, and court administrators. They analyzed the differences between closures of cases in weeks 13 and 39 (the weeks of March 31 and September 30) versus the closures of cases in other weeks before and after the effective date of the CJRA. For motions, they used a hand-coded random sample of almost 800 summary judgment motions filed between August 1 and September 30, 2011. They compared motions that were eligible for the March List with motions that were not eligible for that List. If a motion had been filed on August 29, 2011, it would need to be completed within 214 days—by March 31, 2012—to stay off the List, while a motion filed just two days later (on August 31, 2011) would need to be completed within 397 days—only by September 30, 2012—to stay off the List. The study has a number of other important results. The authors discovered that the three-year pending cases reporting requirement does not cause cases to close any faster. They believe that because judges already close most cases within three years, the reporting requirement is essentially irrelevant. Motions, however, are significantly affected by the List. It takes 10-40 days fewer or 6-25% less in time for just-eligible summary judgment motions versus just-ineligible summary judgment motions. It is important to note that only motions that would have taken six months to resolve without the deadline are affected. In other words, the List does not affect motions with very short or very long durations. In some ways the results simply show that judges act like most of us act. They are incentivized by deadlines and don’t want to look bad in comparison to peers. The most significant results, however, demonstrate the unintended consequences of the List. Approximately 20% of the motions that judges did not decide from the August group (which were placed on the March List) were not decided until three weeks before the next List date of September. In other words, if a judge did not make the first deadline, he had little incentive to finish the case any earlier than the next deadline. So, the List may cause delay in some circumstances. The List also may change outcomes. For example, eligible cases decided near the List time were 18% more likely to favor defendants than those decided at other times, and cases closed during List weeks had a 40% increased likelihood of being remanded on appeal—which may mean that they were decided incorrectly. Given the high rate of summary judgment in civil rights cases, including employment discrimination cases, it was interesting that the study found that no specific case types were decided more frequently at the deadline or had a particular result. The authors discuss the costs of the List, such as administrative expenses and the possibility of error. They also discuss the benefits of the List, including the savings of 10-40 days for the average motion, which could result in a positive monetary gain to the prevailing party. However, the authors conclude that the costs exceed the benefits, recommending that the List should be eliminated. Given the unlikelihood of this happening soon, they propose that more and different information, such as publishing the average or median duration of cases or motions, be provided to decrease the incentives to comply with the List. The study of the List is one of the most important studies relating to the federal courts to come out in years. It illustrates the problems with congressional change that is motivated by anecdote and not by careful study. Most significantly, it shows that Congress should eliminate the List, which lessens justice in the federal courts. 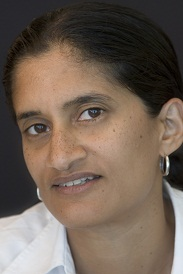 Cite as: Suja A. Thomas, Take Down the List, JOTWELL (April 9, 2018) (reviewing Miguel de Figueiredo, Alexandra D. Lahav & Peter Siegelman, Against Judicial Accountability: Evidence From the Six Month List (revised 2018), available at SSRN), https://courtslaw.jotwell.com/take-down-the-list/.